Firstly, and contrary to the order suggested by the title, I am on Twitter now! If you follow me, I’ll love you, and while I can’t promise you it’ll be forever, I can promise several decades. If that’s not enough, like my page on Facebook too. That’ll lock you in for the longterm. I have, possibly, a new favourite band. Which is nice, because for ages, when people ask who my favourite band is, I’ve said “Errrrm. Maybe the Cure? Probably. I’m not sure”. Anyway, my new favourite band is the astonishingly magnificent Gabby Young and Other Animals. They invented the genre of Circus Swing, which anyone who knows me will realise is the reason the downstairs neighbours were banging on the ceiling last night because I was jumping for joy TOO MUCH. Eat it, downstairs neighbours! Ain’t no such thing as too much joy. I ran out and bought their new album, The Band Called Out For More, and ran back, realised that the friend I was staying with didn’t have a CD player, and spent the rest of the evening listening to the few of their videos I could get to load on my phone whilst sketching circus swing designs. Here are some pictures! 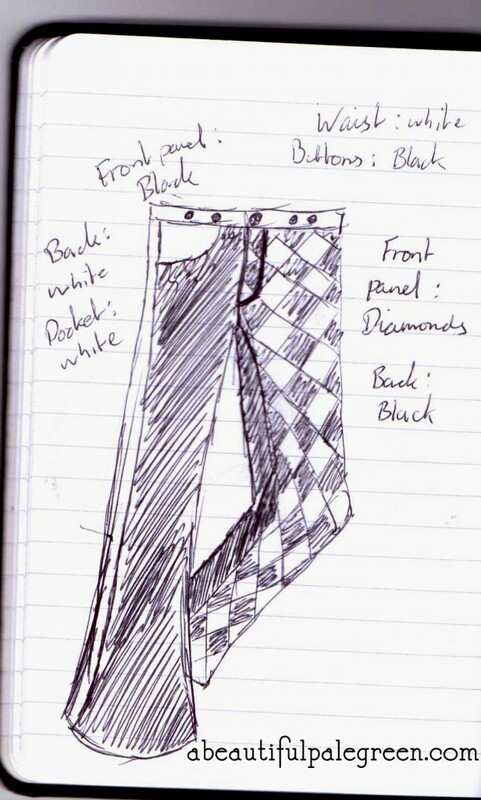 The imaginatively named Circus Trousers! Will these get made? Yes they will! Next week, I think. Will they get made in my size? Yes, if I don’t have anyone in mind, it’s easy to check the fit if I make them to fit me. Will they make it as far as my etsy store without me deciding I want to keep them? No comment. The Ringmistress Tailcoat! Will it get made? Damn right! I have the fabric right here. 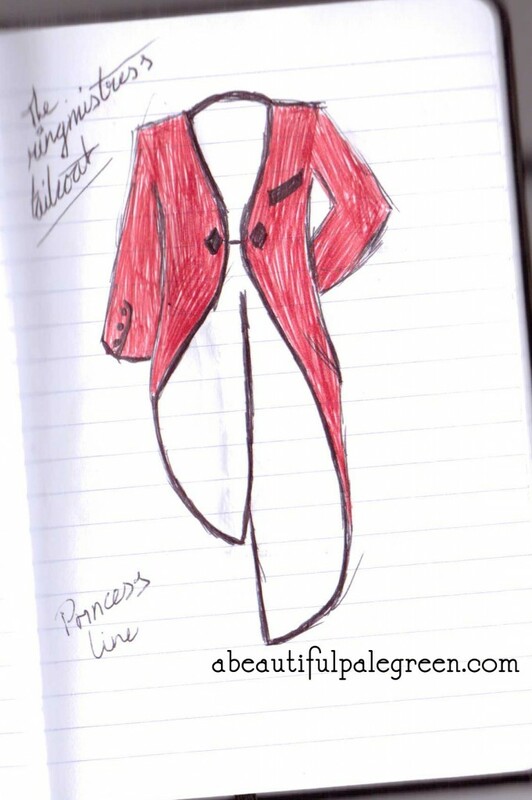 Does it look more like a morning coat than a tailcoat? Why yes, yes it does. Is that because I forgot what a tailcoat looked like and got confused? No comment. This entry was posted on Tuesday, July 24th, 2012 at 9:11 pm	and is filed under circus swing, clothing, costume. You can follow any responses to this entry through the RSS 2.0 feed. You can leave a response, or trackback from your own site.